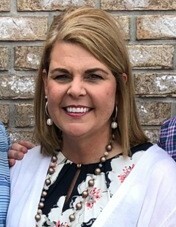 Tricia Lynn Perry James, age 47, of Leoma, TN passed away Saturday, January 12, 2019 at Williamson Medical Center in Franklin, TN after a courageous battle with lung cancer. She was a native of Lawrence County, TN, a homemaker, and a member of Mars Hill Baptist Church. She was preceded in death by her parents, Jim and Nathalee Clayton Perry. Arrangements are being handled by Neal Funeral Home, 231 N. Military Avenue, Lawrenceburg, Tennessee. The family will receive friends from 4:00 PM to 8:00 PM Tuesday, January 15, 2019 at Mars Hill Baptist Church. Funeral services will be conducted at Mars Hill Baptist Church at 1:00 PM Wednesday, January 16, 2019, with Mickey Brackin officiating. Interment will follow at New Mt. Lebanon Cemetery in Lawrence County, TN. Family suggests memorials be made to the American Lung Association, One Vantage Way, Suite C120, Nashville, TN 37228.